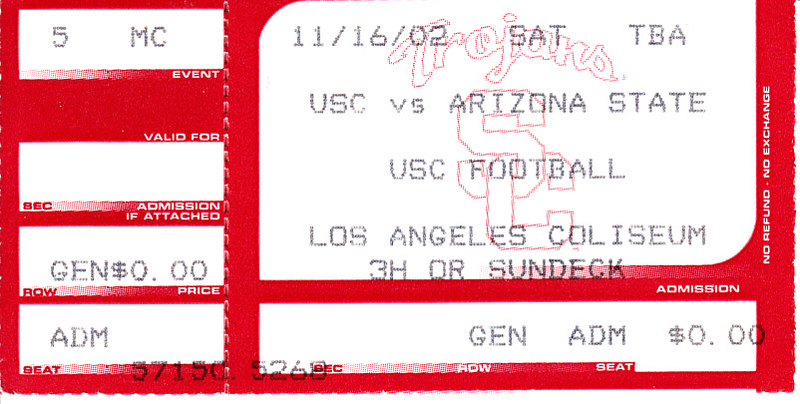 Ticket stub from the Nov. 16, 2002 USC Trojans vs. Arizona State Sun Devils college football game won by USC 34-13. 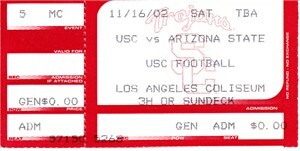 USC went on to a 11-2 record and #4 ranking, while quarterback Carson Palmer won the Heisman Trophy. NrMt or better condition. ONLY ONE AVAILABLE FOR SALE.